The unprecedented budget cuts proposed by Gov. Mike Dunleavy, coupled with his refusal to consider new revenue, means the Legislature faces a choice with this year’s budget. 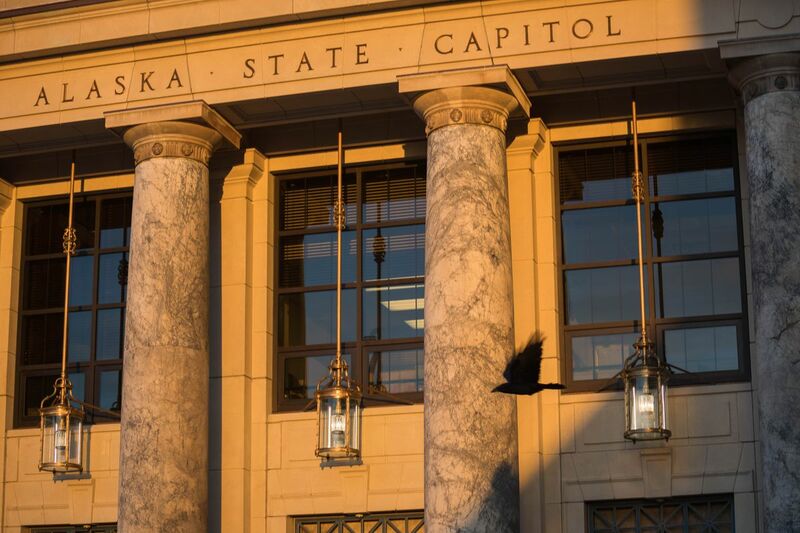 Its members can accept the governor’s proposal to pay an unsustainably high dividend while gutting K-12 education, the University of Alaska system, ending the Alaska Marine Highway System and putting essential services at risk. Or we can use this opportunity to pursue practical reforms that realize efficiencies, while ensuring Alaska continues to be a great place to live, work and invest. Let’s choose innovative reforms instead of short-sighted cuts to jobs and the economy. We know the state budget’s cost drivers are payment of Permanent Fund dividends, Medicaid and the University of Alaska and public education systems. We also know the greatest potential for effective, cost-saving reforms are within the Medicaid program. Instead of exposing 70,000 Alaskans to the loss of health insurance by cutting this program, putting access to opioid treatment at risk and pushing Alaska deeper into a recession, let’s continue moving toward transformational policies and reforms that both save money and improve care. Alaska’s Medicaid spending has remained flat since 2015, yet more than 47,000 additional Alaskans have access to health insurance through Medicaid. This is no accident. The bipartisan passage of Senate Bill 74 in 2016 launched Medicaid reforms that have secured more economical fee agreements with health providers, reduced systematic waste and fraud, and implemented tele-health assessments to reduce travel costs. These advancements were a step in the right direction for Alaska’s economic future and the health of our residents. Health care reform represents the largest cost savings opportunity in K-12 and higher education spending. While our schools and the university system have absorbed large budget cuts over the last four years, their health insurance costs continue to grow. It makes no sense to lay off teachers and close campuses when we can tackle the real costs contributing to the growing expense of education. Health insurance reform is also vital to discover savings in the correctional system. Medicaid is the primary funder of addiction treatment. After the state implemented Medicaid expansion, our opioid addiction rates finally began declining. It is far less expensive and more effective over the long term to help Alaskans free themselves from addiction than it is to incarcerate them. Our state budget has long been tied to the boom and bust of oil prices. Rather than eliminate state programs that sustain our economy and protect our residents, we should seize this opportunity to transform state government. Bipartisan legislation has already made significant progress in reducing health care costs, but there is more work to be done. With a little creativity and foresight, we can achieve sustainable cost savings while providing a foundation for durable economic growth and development. Rep. Zack Fields represents downtown Anchorage in the Alaska House of Representatives, where he co-chairs the State Affairs Committee. Rep. Tiffany Zulkosky represents the Yukon-Kuskokwim Delta in the Alaska House of Representatives, where she co-chairs the House Health and Social Services Committee and chairs the Tribal Affairs Committee.